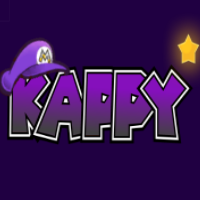 It’s that time again: #KappySpotlight time, where I talk about badges/items/partners/etc… that are generally seen as “bad” and not used very often by challenge runners. I dive deeper into why they’re perceived the way they are with some cool strategies centered around them mixed in! Today, I’ll be covering a partner in 64 that you get last and subsequently usually use the least — LAKILESTER! Oof, 7th out of 8 partners. Lakilester is an interesting partner because he has one ridiculous ability in Cloud Nine, and the rest just sort of…fall flat. Now, this spotlight I won’t be crafting any strategies with Lakilester for one big reason: all of the partners in 64 function almost exactly the same besides a few differences in their support abilities. Many partners deal 5-6 damage with their basic attacks and can hit multiple enemies. With this in mind, many strategiess I can devise for Chapter 6 and beyond bosses can all be done with multiple partners, especially since Mario is the only one who can increase his ATK & DEF. For the most part, when I strategize for 64 I just choose a partner that can give me the damage I need for exact damage. What I’ll be doing this spotlight is instead going through the strengths and weaknesses of each move. So, let’s get started! Lakilester’s basic attack. This basic attack is actually really good because he can hit any enemy and it doesn’t make contact. No real drawbacks here — it’s easy to follow up with Mario’s Jump (or have Mario follow up on an enemy that was on the ceiling) after this hits, and it can act like an aerial hammer since other attacks that can hit aeril and ground enemies like Body Slam and Headbonk can’t hit spiky enemies, which Spiny Flip can. Spiny Surge is another solid move, but with a pretty hefty FP cost. 4 FP isn’t much in the grand scheme of things, but for the most part, enemies like to be on the ground. Just look at most of Chapter 7 & Chapter 8. A huge majority of those enemies are grounded, meaning Kooper can clean up with Power Shell for 2 FP less. However, Spiny Surge does have a nice niche uses as the most cost-effective way to get rid of the Tuff Puffs during the Huff N. Puff boss fight and the ice bits during the Crystal King boss fight. You can always use it to take out all Bzzaps with ease, although Multibounce will likely work just as well for less FP. Other than that…you’re probably not going to get much out of 4 damage for 4 FP. Better to use Sushie’s Tidal Wave or Parakarry’s Air Raid against higher HP/DEF enemies, especially since Sushie can deal waaaaay more damage with Tidal Wave for only 6 FP. Still, it’s not a bad move. It’s definitely heavily outclassed, though. Fun fact: if you equip all Luck-based badges available to you, you get ~50% evasion in Danger. With Cloud Nine, you get basically 50% evasion without needing to be in Danger. However, it cancels out all Luck badges equipped. It’s a double-edged sword, but really…this is way better than equipping Luck badges. This move alone is enough to keep Lakilester relevant. Cycling through Turbo Charge, Water Block, and Cloud Nine is a common strategy to keep Mario ultra-buffed at all times, especially with a Flower Saver or two equipped. The ability to have that much evasion for 2-4 FP is actually insane, and there are times where Cloud Nine will help you dodge 3-4 attacks in a row…all for a pretty low FP cost. It’s good. It’s great. It’s awesome. There are no drawbacks if you’re not manipulating HP and are trying to avoid attacks entirely. There’s only one downside to this move: experienced players don’t really need it, and will instead use Bow’s Outta Sight for a guaranteed dodge since you’ll likely only need to dodge once after being in Peril to finish enemies off. Oh, and I guess it’s still RNG-dependent, which isn’t good. But, I’ve seen it do amazing things, and that can’t be overlooked. This move is, well…useless. Unless you’re trying to not earn Star Points or save Star Energy, you can just use Up & Away or, well, run. Really, it’s disappointing that this is Lakilester’s Ultra Rank move — a stronger Spiny Surge here would’ve been more effective, but you can tell they were hinting at using Lakilester for Huff N. Puff with it being his second base move. Should’ve been Hurricane… anyway, this move does have a good chance at blowing away every enemy not named Bombshell Bill Blaster and is a tad more reliable than Up & Away or Spook. For 5 FP though, I’d rather use something else. If this move gave you Star Points, it’d be on par with Flurrie’s Gale Force, which would make it great in my eyes. That’s it for Lakilester. As I said before, you can swap around partners when it comes to bosses and normal battles and see mostly the same results, so no strategies for this one. Partners in 64 are tricky to talk about. A lot of them perform the exact same function damage-wise besides a select few like Sushie & Bow, so you have to look at their unique abilities like Cloud Nine, Water Block, etc… with that said, Lakilester, while being one of the worst-rated partners, isn’t always a terrible choice. You’re just going to find yourself going to others more unless you’re specifically looking for evasion. Next time, we’ll go over a badge in Paper Mario 64! This entry was posted in Gaming, KappySpotlight and tagged 64, badges, Cloud Nine, Games, Hurricane, item, Kappy, Kappy's Splotlight, KappySpotlight, Lakilester, Mario, Paper, Paper Mario, Paper Mario 64, Paper Mario: The Thousand-Year Door, partners, PMTTYD, Spiny Flip, Spiny Surge, Spotlight, TTYD. Bookmark the permalink.